VMM-261 Mission is to provide assault support of combat troops, supplies and equipment during amphibious operations and subsequent operations ashore. Routinely, VMM squadrons provide the foundation for an aviation combat element (ACE) of any level Marine Air-Ground Task Force (MAGTF) mission that may include conventional assault support tasks and special operations. This is the 'red/yellow' version of their squadron patch and does not come with velcro attached. VMM-261 Mission is to provide assault support of combat troops, supplies and equipment during amphibious operations and subsequent operations ashore. Routinely, VMM squadrons provide the foundation for an aviation combat element (ACE) of any level Marine Air-Ground Task Force (MAGTF) mission that may include conventional assault support tasks and special operations. 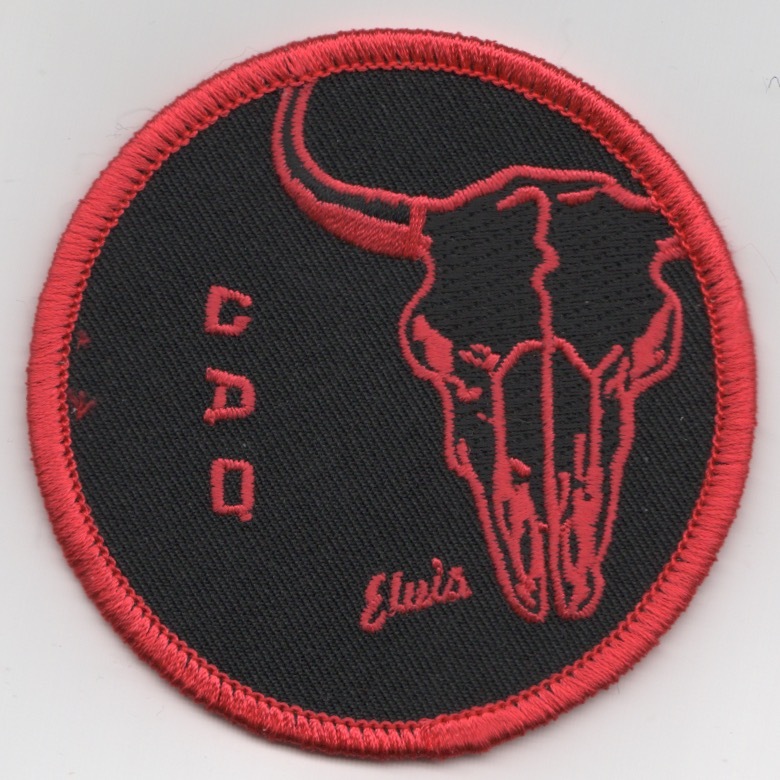 This is desert/OD Green version of their squadron patch and does not come with velcro attached. 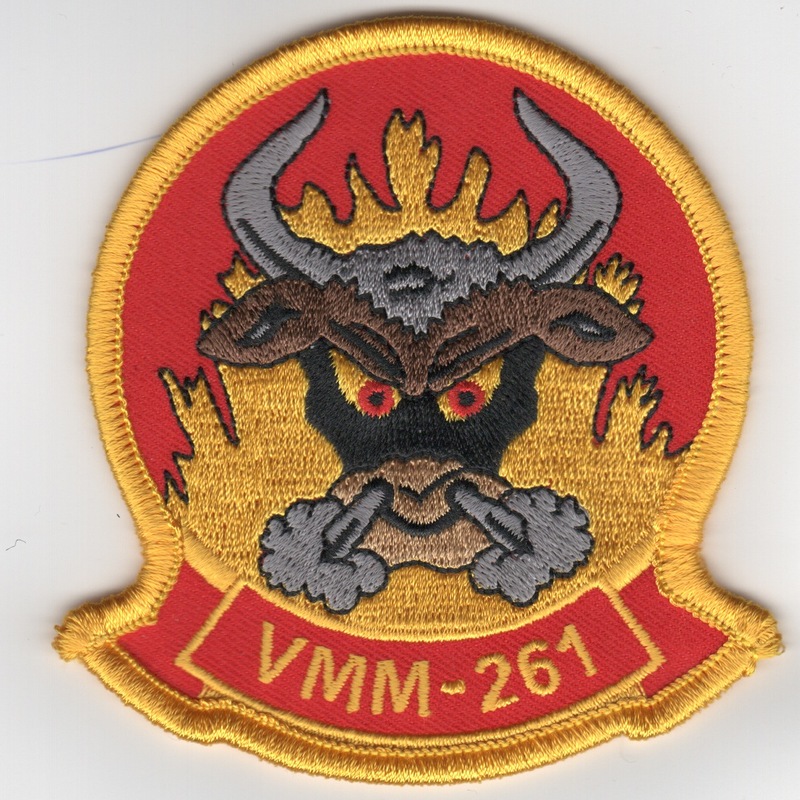 Use this link to get both VMM-261 Squadron patches at a discount. VMM-261 Mission is to provide assault support of combat troops, supplies and equipment during amphibious operations and subsequent operations ashore. Routinely, VMM squadrons provide the foundation for an aviation combat element (ACE) of any level Marine Air-Ground Task Force (MAGTF) mission that may include conventional assault support tasks and special operations. This is the patch created for the 'CDI' shop with the red border and does not come with velcro attached. VMM-261 Mission is to provide assault support of combat troops, supplies and equipment during amphibious operations and subsequent operations ashore. Routinely, VMM squadrons provide the foundation for an aviation combat element (ACE) of any level Marine Air-Ground Task Force (MAGTF) mission that may include conventional assault support tasks and special operations. This is the patch created for the 'CDO' shop with the red border and does not come with velcro attached. VMM-261 Mission is to provide assault support of combat troops, supplies and equipment during amphibious operations and subsequent operations ashore. Routinely, VMM squadrons provide the foundation for an aviation combat element (ACE) of any level Marine Air-Ground Task Force (MAGTF) mission that may include conventional assault support tasks and special operations. 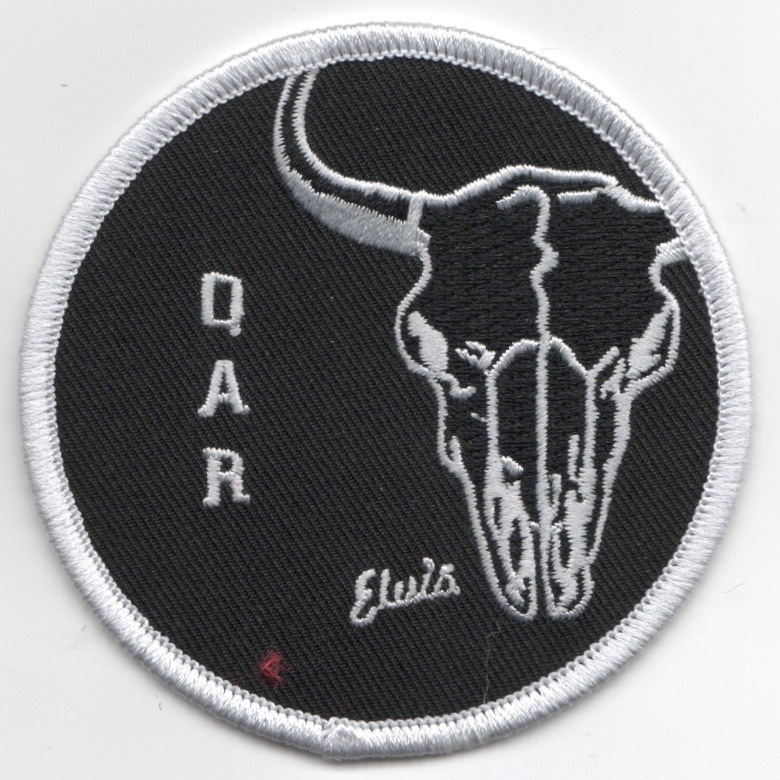 This is the patch created for the 'QAR' shop with the white border and does not come with velcro attached. VMM-261 Mission is to provide assault support of combat troops, supplies and equipment during amphibious operations and subsequent operations ashore. Routinely, VMM squadrons provide the foundation for an aviation combat element (ACE) of any level Marine Air-Ground Task Force (MAGTF) mission that may include conventional assault support tasks and special operations. This is the patch created for the 'SFF' shop with the red border and does not come with velcro attached. 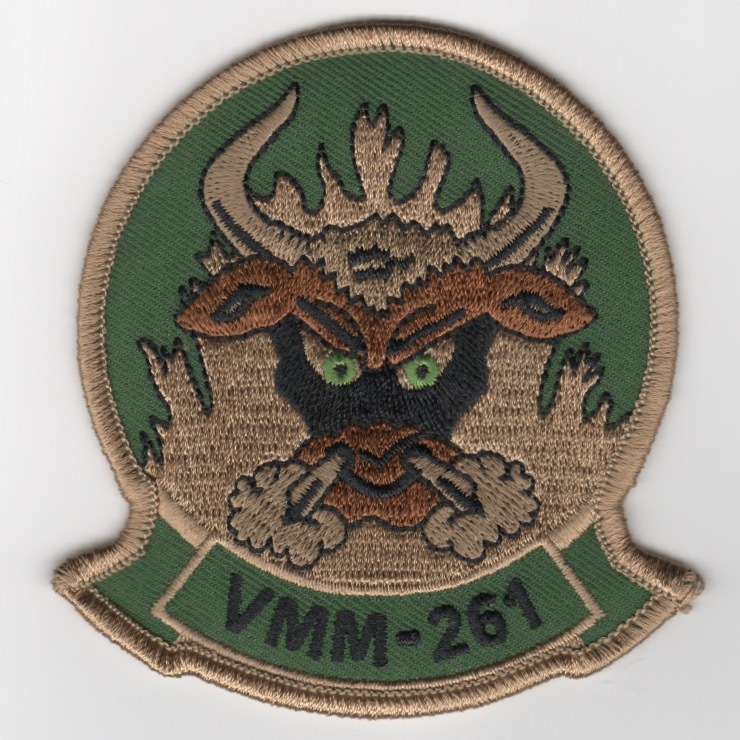 Use this link to get the VMM-261 'SHOPS' patches above at a discount. VMM-261 Mission is stated above. 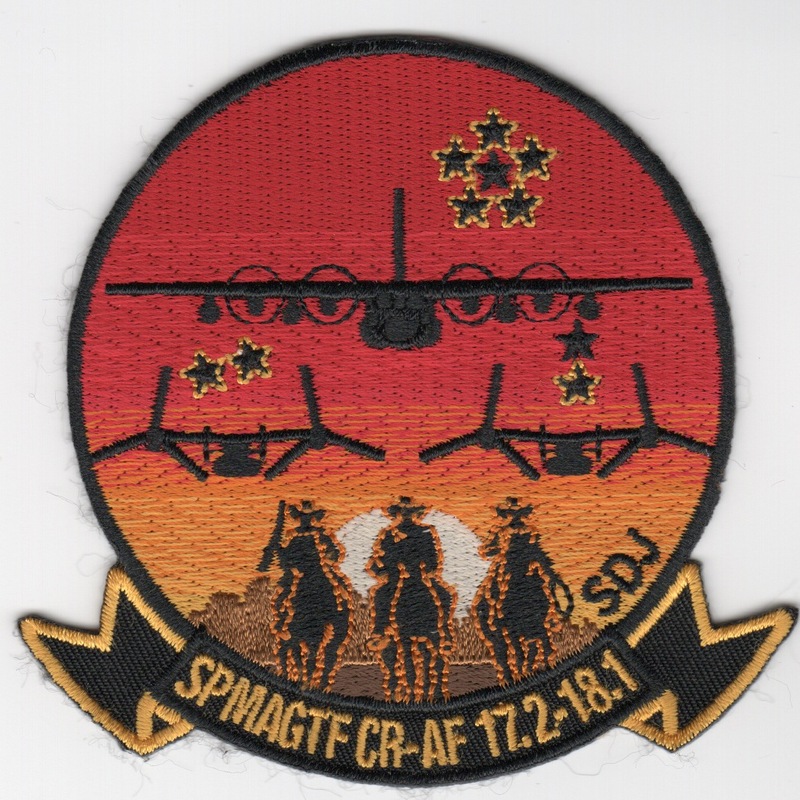 This is the detachment patch for the VMM-261 "Special Purpose Marine Air-Ground Task Force" (SPMAGTF) for their participation in the exercises. This patch covers their role in 17.2-18.1 and shows a C-130 with two MV-22's underneath. This patch does not come with velcro attached. Marine Medium Tiltrotor Squadron 263 (VMM-263) is a United States Marine Corps tiltrotor squadron consisting of MV-22B Osprey transport aircraft. The squadron, known as the "Thunder Eagles", is based at Marine Corps Air Station New River, North Carolina and falls under the command of Marine Aircraft Group 26 (MAG-26) and the 2nd Marine Aircraft Wing (2nd MAW). This is the 'yellow tab' version of their squadron patch that does NOT have "REIN" and does not come with velcro attached..
Marine Medium Tiltrotor Squadron 263 (VMM-263) is a United States Marine Corps tiltrotor squadron consisting of MV-22B Osprey transport aircraft. The squadron, known as the "Thunder Eagles", is based at Marine Corps Air Station New River, North Carolina and falls under the command of Marine Aircraft Group 26 (MAG-26) and the 2nd Marine Aircraft Wing (2nd MAW). This is the 'gray/blue' version of their squadron patch that DOES have "REIN" and does not come with velcro attached. Marine Medium Tiltrotor Squadron 263 (VMM-263) is a United States Marine Corps tiltrotor squadron consisting of MV-22B Osprey transport aircraft. The squadron, known as the "Thunder Eagles", is based at Marine Corps Air Station New River, North Carolina and falls under the command of Marine Aircraft Group 26 (MAG-26) and the 2nd Marine Aircraft Wing (2nd MAW). 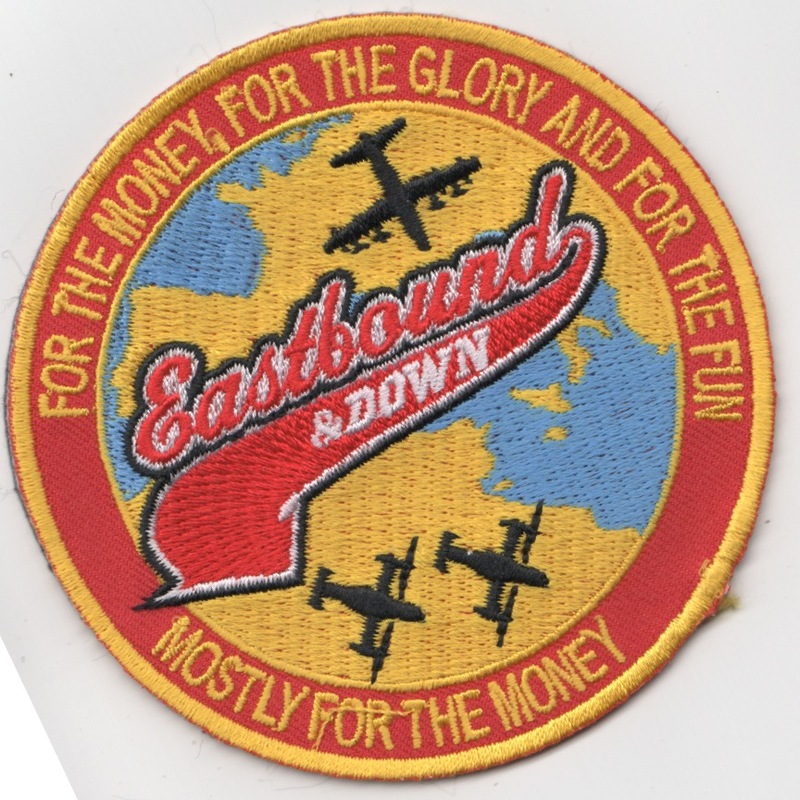 This is the "EASTBOUND and DOWN" Det patch created for them that says "FOR THE MONEY, FOR THE GLORY AND FOR THE FUN" (top) and "MOSTLY FOR THE MONEY" (bottom). This patch does not have velcro attached. Marine Medium Tiltrotor Squadron 263 (VMM-263) is a United States Marine Corps tiltrotor squadron consisting of MV-22B Osprey transport aircraft. The squadron, known as the "Thunder Eagles", is based at Marine Corps Air Station New River, North Carolina and falls under the command of Marine Aircraft Group 26 (MAG-26) and the 2nd Marine Aircraft Wing (2nd MAW). This is their "detachment" patch from a deployment to Spain. Marine Medium Tiltrotor Squadron 262 (VMM-262) is a United States Marine Corps tiltrotor squadron consisting of MV-22B Osprey tiltrotor aircraft. 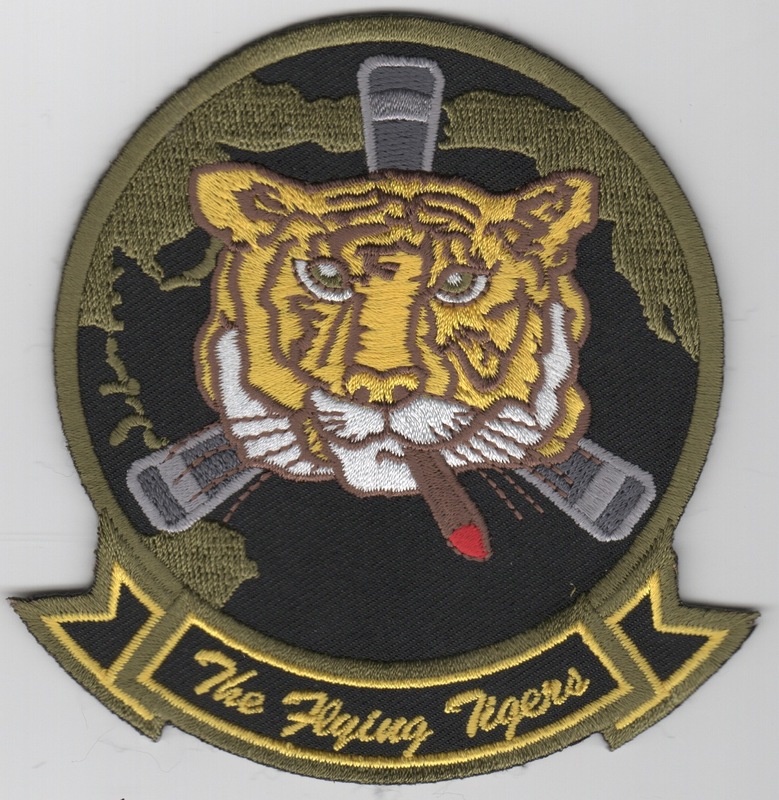 The squadron, known as the "Flying Tigers", is based at Marine Corps Air Station Futenma, Okinawa, Japan and falls under the command of Marine Aircraft Group 36 (MAG-36) and the 1st Marine Aircraft Wing (1st MAW). This is their "heritage" patch giving tribute to their lineage from the "Flying Tigers". 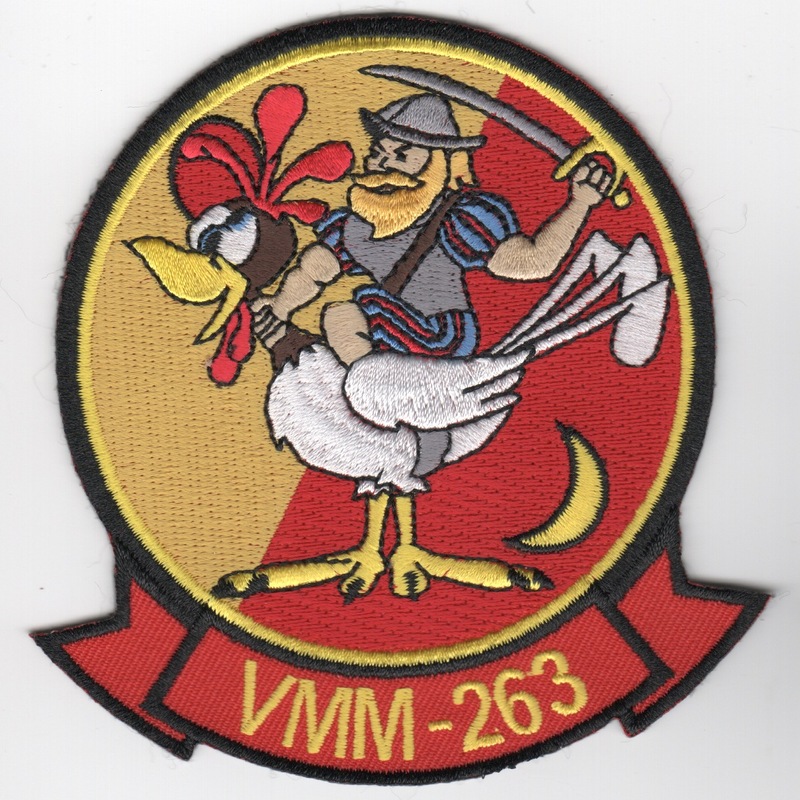 This is the merrowed-border, desert version of the squadron patch for VMM-265 that has the "thick" red letters in the bottom tab, but DOES NOT say 'REIN' (REINforced). VMM-265 is a United States Marine Corps transport squadron consisting of MV-22 Osprey tiltrotor aircraft. The squadron, known as the "Dragons", is based at Marine Corps Air Station Futenma, Okinawa, Japan and falls under the command of Marine Aircraft Group 36 (MAG-36) and the 1st Marine Aircraft Wing (1st MAW). 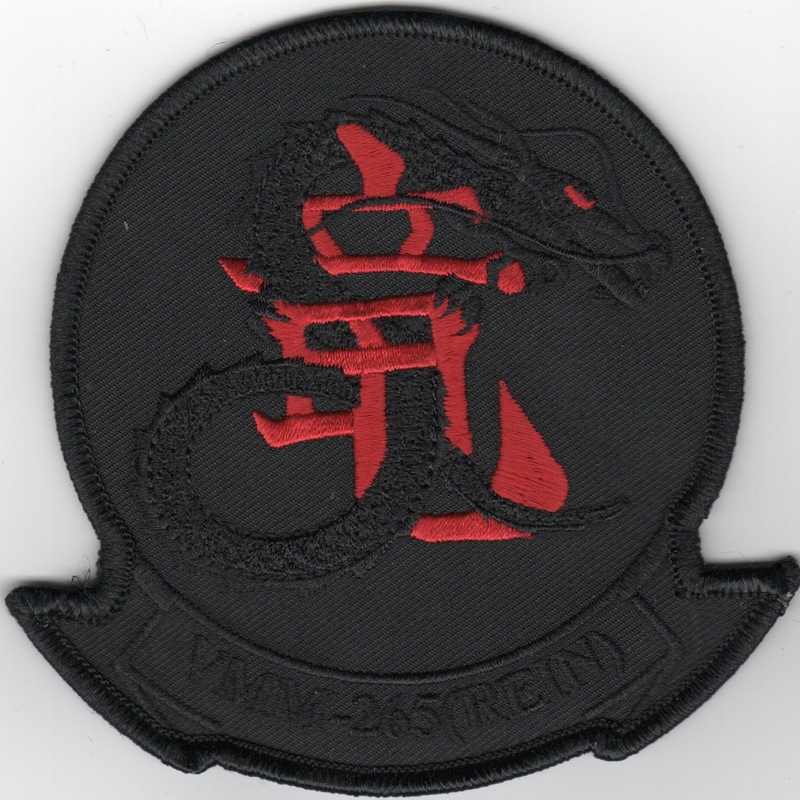 (Korean): This is the theater-made, Korean desert version of the squadron patch for VMM-265 that has the "thick" red letters in the bottom tab, but DOES NOT say 'REIN' (REINforced). VMM-265 is a United States Marine Corps transport squadron consisting of MV-22 Osprey tiltrotor aircraft. The squadron, known as the "Dragons", is based at Marine Corps Air Station Futenma, Okinawa, Japan and falls under the command of Marine Aircraft Group 36 (MAG-36) and the 1st Marine Aircraft Wing (1st MAW). 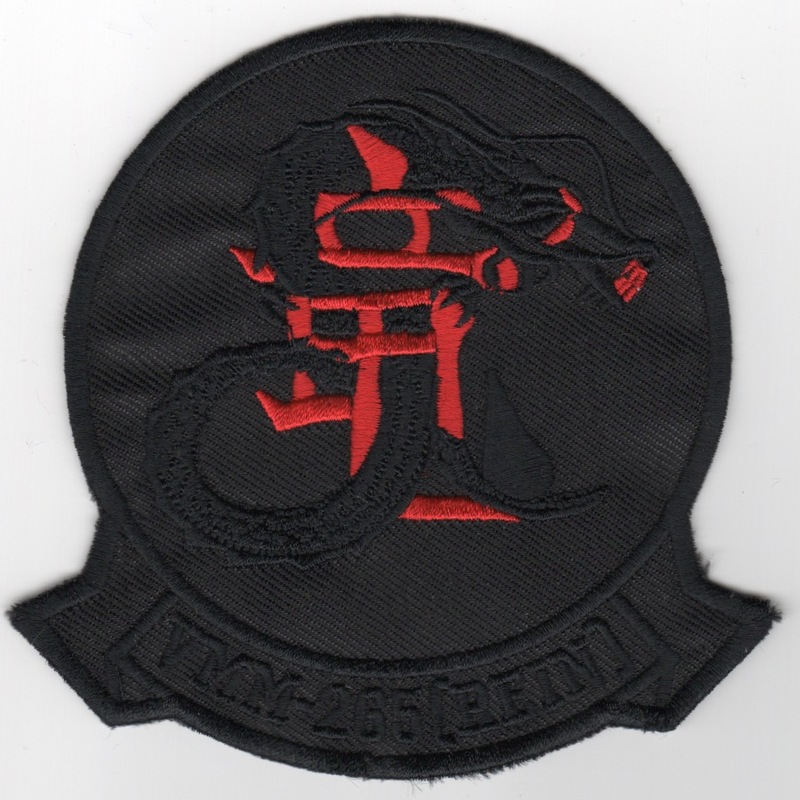 (Korean): This is the theater-made, Korean desert version of the squadron patch for VMM-265 that has the "thick" red letters in the bottom tab, and DOES say 'REIN' (REINforced). VMM-265 is a United States Marine Corps transport squadron consisting of MV-22 Osprey tiltrotor aircraft. The squadron, known as the "Dragons", is based at Marine Corps Air Station Futenma, Okinawa, Japan and falls under the command of Marine Aircraft Group 36 (MAG-36) and the 1st Marine Aircraft Wing (1st MAW). 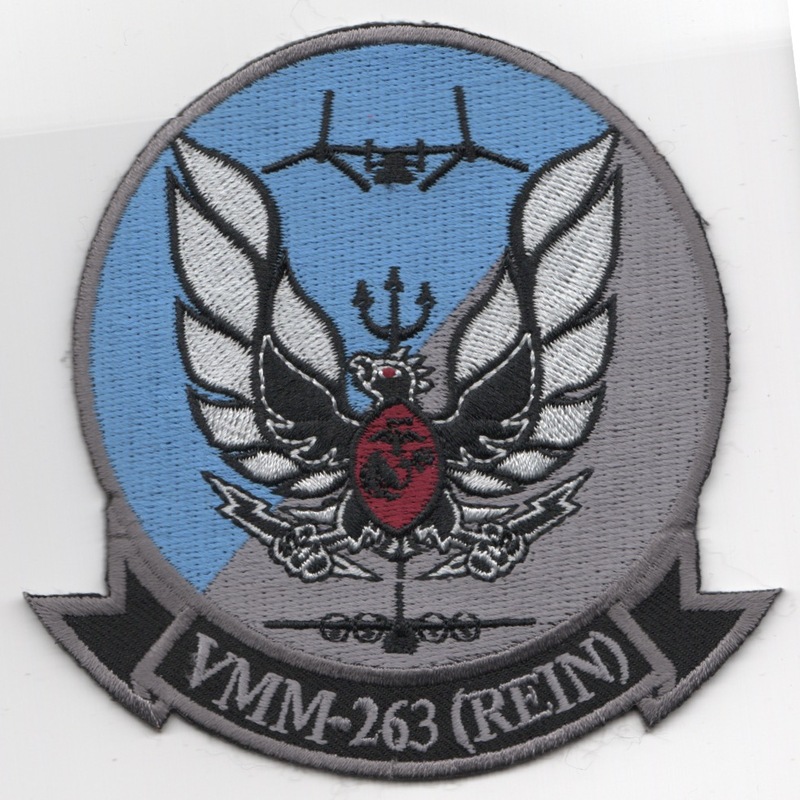 This is the no "REIN" squadron patch for VMM-265 'REIN' that has the red letters in the bottom tab. VMM-265 is a United States Marine Corps transport squadron consisting of MV-22 Osprey tiltrotor aircraft. 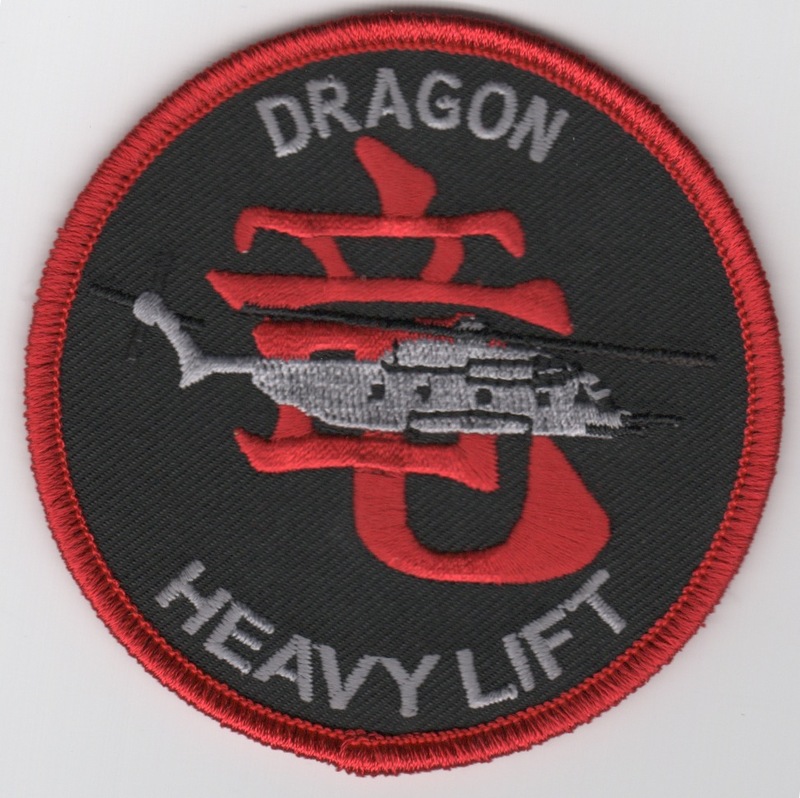 The squadron, known as the "Dragons", is based at Marine Corps Air Station Futenma, Okinawa, Japan and falls under the command of Marine Aircraft Group 36 (MAG-36) and the 1st Marine Aircraft Wing (1st MAW). 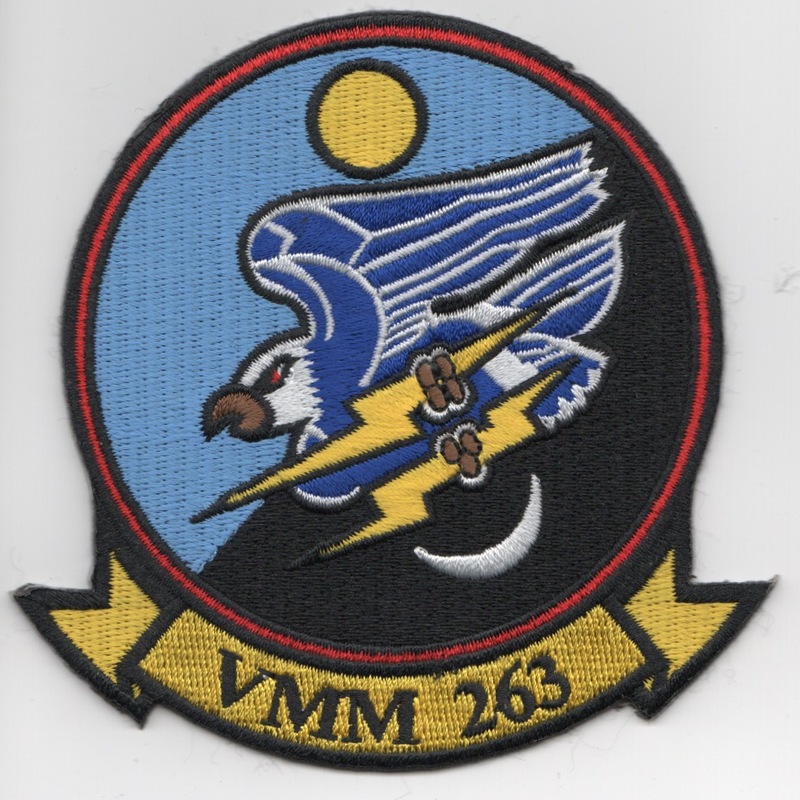 This is the merrowed-border version of the squadron patch for VMM-265 'REIN' that has the all-black letters in the bottom tab. VMM-265 is a United States Marine Corps transport squadron consisting of MV-22 Osprey tiltrotor aircraft. The squadron, known as the "Dragons", is based at Marine Corps Air Station Futenma, Okinawa, Japan and falls under the command of Marine Aircraft Group 36 (MAG-36) and the 1st Marine Aircraft Wing (1st MAW). 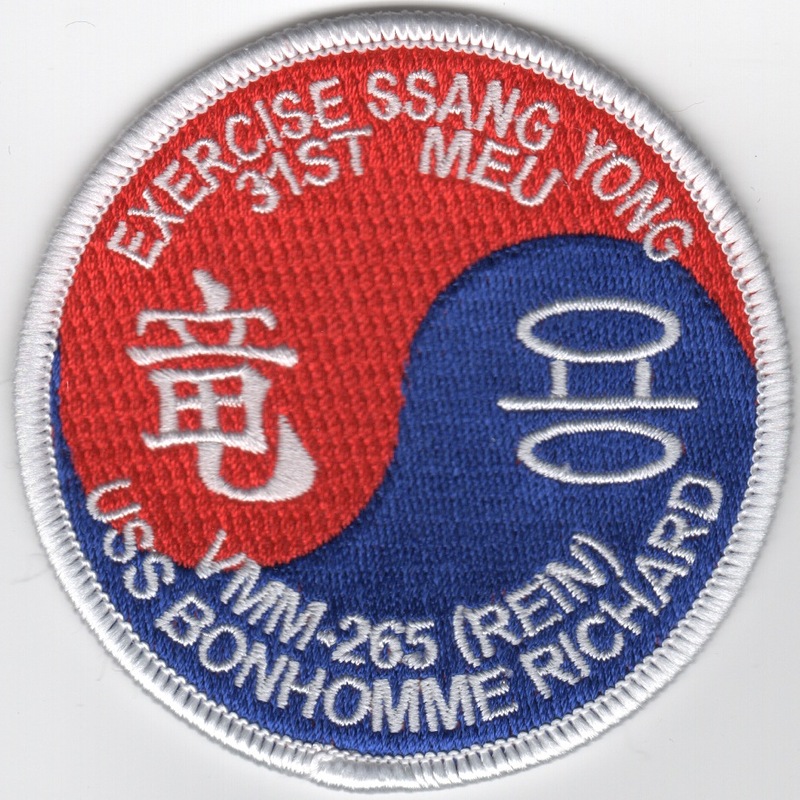 (Korean): This is the theater-made, Korean version of the squadron patch for VMM-265 'REIN' that has the all-black letters in the bottom tab. VMM-265 is a United States Marine Corps transport squadron consisting of MV-22 Osprey tiltrotor aircraft. The squadron, known as the "Dragons", is based at Marine Corps Air Station Futenma, Okinawa, Japan and falls under the command of Marine Aircraft Group 36 (MAG-36) and the 1st Marine Aircraft Wing (1st MAW). 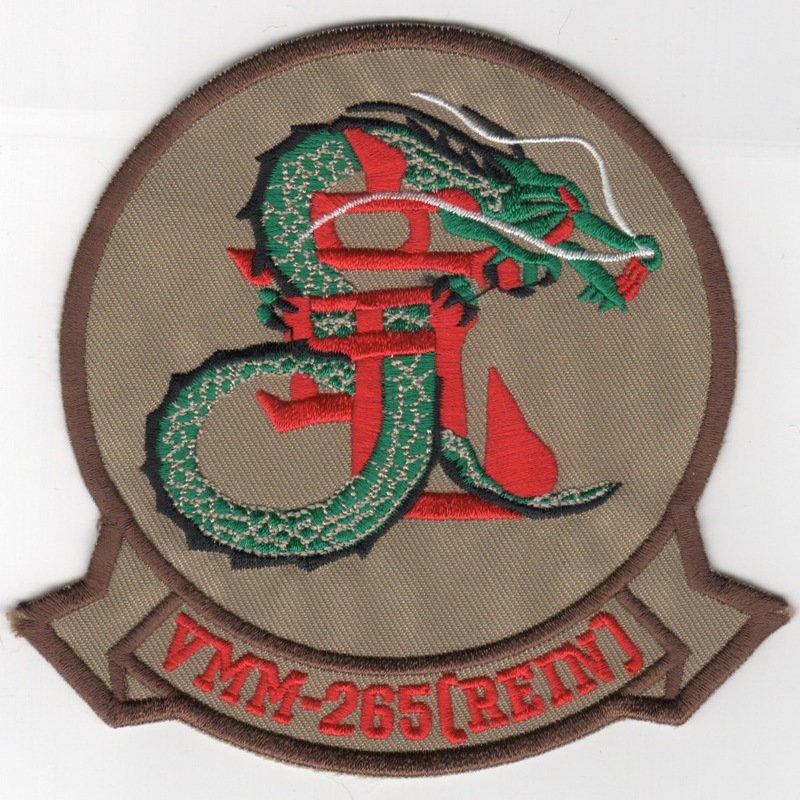 This is the subdued version of the squadron patch for VMM-265 'REIN' that has the all-black letters in the bottom tab. VMM-265 is a United States Marine Corps transport squadron consisting of MV-22 Osprey tiltrotor aircraft. The squadron, known as the "Dragons", is based at Marine Corps Air Station Futenma, Okinawa, Japan and falls under the command of Marine Aircraft Group 36 (MAG-36) and the 1st Marine Aircraft Wing (1st MAW). 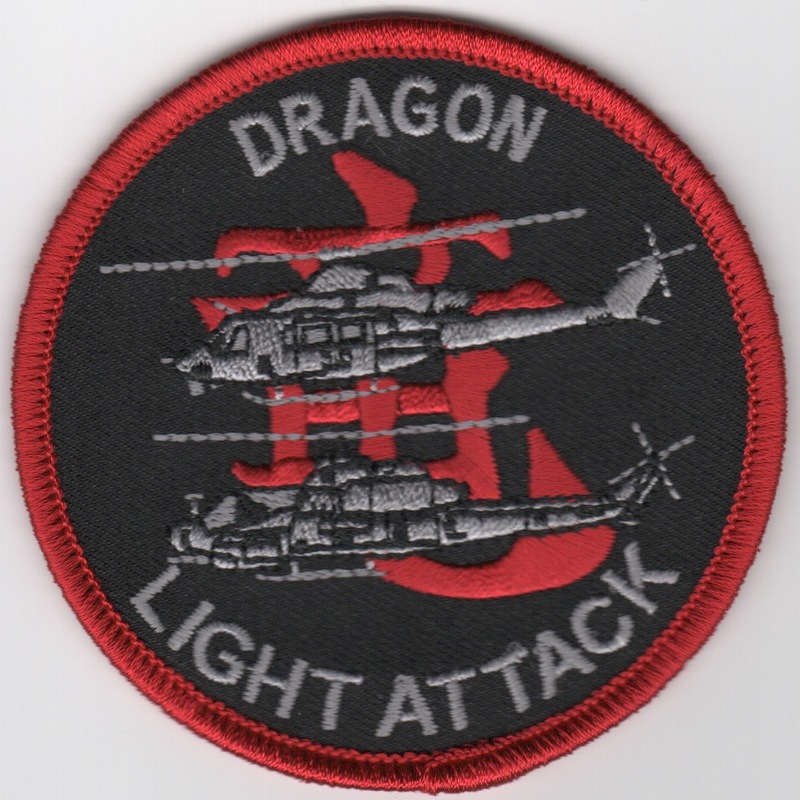 This is #1 of the 5 patch set created for the Dragons of VMM-265. VMM-265 is a United States Marine Corps transport squadron consisting of MV-22 Osprey tiltrotor aircraft. The squadron, known as the "Dragons", is based at Marine Corps Air Station Futenma, Okinawa, Japan and falls under the command of Marine Aircraft Group 36 (MAG-36) and the 1st Marine Aircraft Wing (1st MAW). 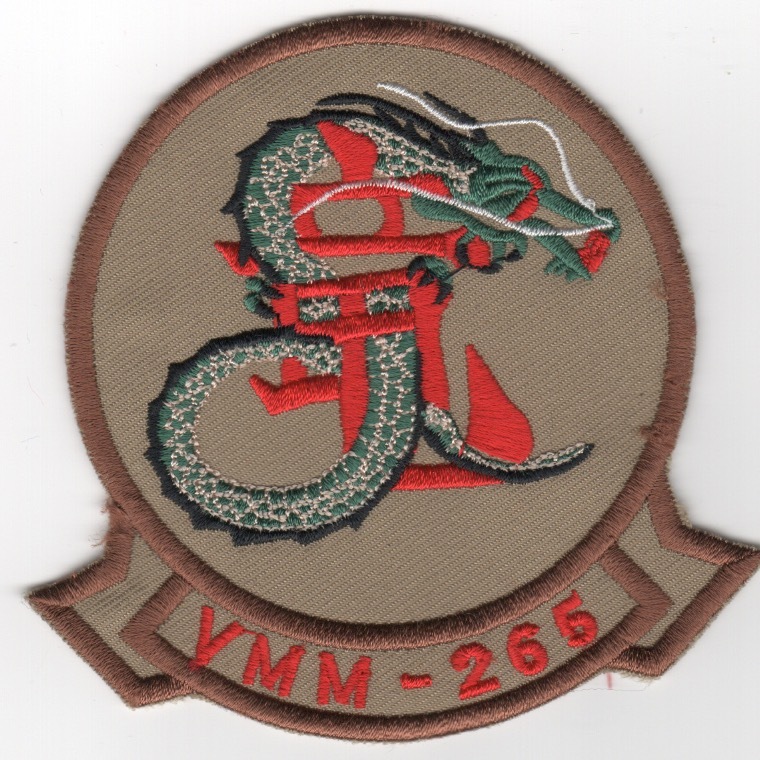 This is #2 of the 5 patch set created for the Dragons of VMM-265. VMM-265 is a United States Marine Corps transport squadron consisting of MV-22 Osprey tiltrotor aircraft. The squadron, known as the "Dragons", is based at Marine Corps Air Station Futenma, Okinawa, Japan and falls under the command of Marine Aircraft Group 36 (MAG-36) and the 1st Marine Aircraft Wing (1st MAW). 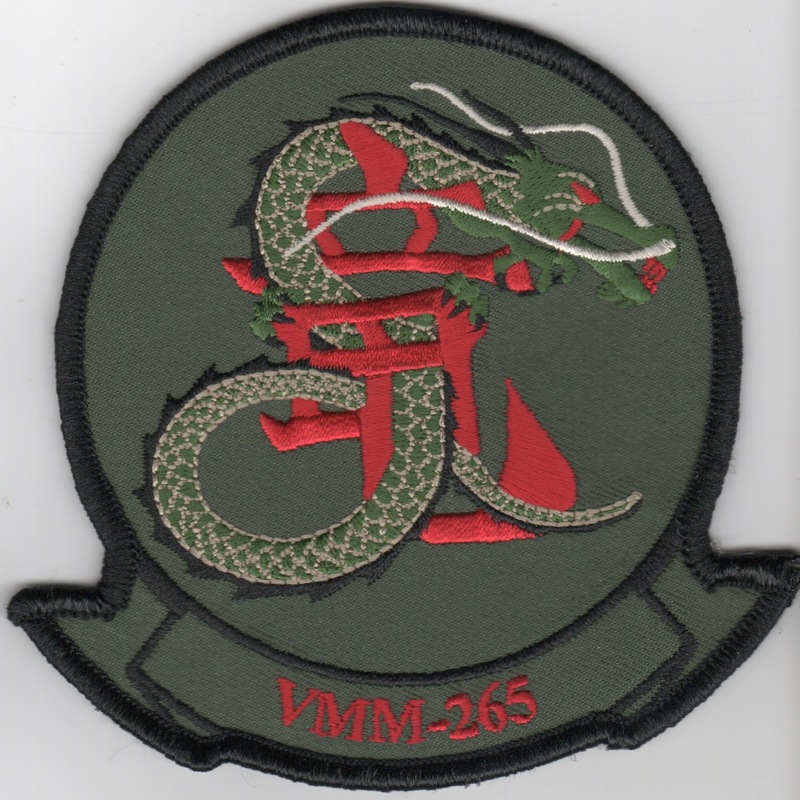 This is #3 of the 5 patch set created for the Dragons of VMM-265. VMM-265 is a United States Marine Corps transport squadron consisting of MV-22 Osprey tiltrotor aircraft. The squadron, known as the "Dragons", is based at Marine Corps Air Station Futenma, Okinawa, Japan and falls under the command of Marine Aircraft Group 36 (MAG-36) and the 1st Marine Aircraft Wing (1st MAW). This patch does not have velcro already attached. 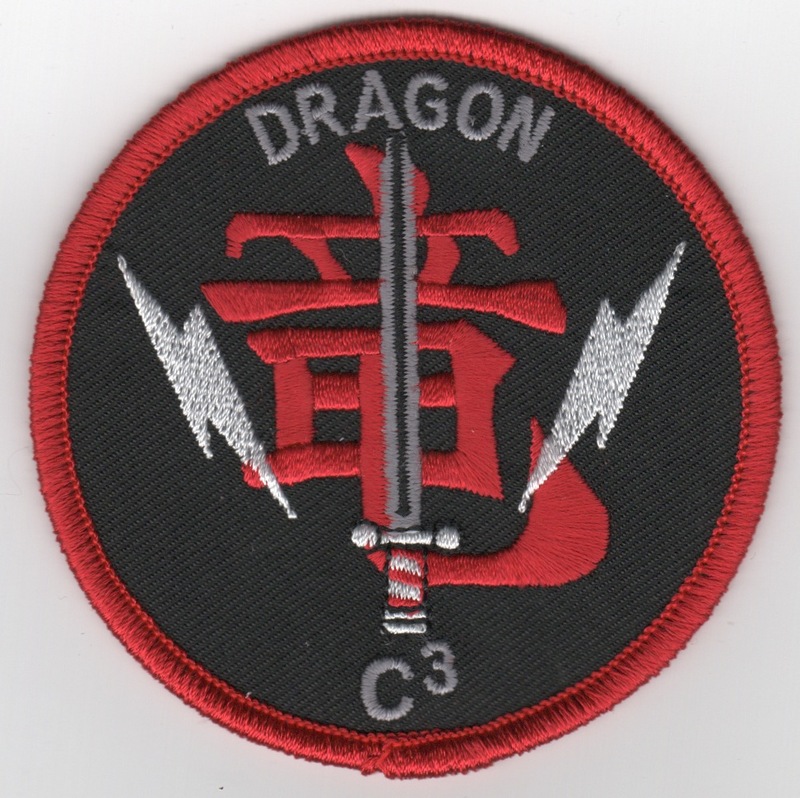 This is #4 of the 5 patch set created for the Dragons of VMM-265. VMM-265 is a United States Marine Corps transport squadron consisting of MV-22 Osprey tiltrotor aircraft. The squadron, known as the "Dragons", is based at Marine Corps Air Station Futenma, Okinawa, Japan and falls under the command of Marine Aircraft Group 36 (MAG-36) and the 1st Marine Aircraft Wing (1st MAW). Note the helicopters are pointed to the right......This patch does not have velcro already attached. 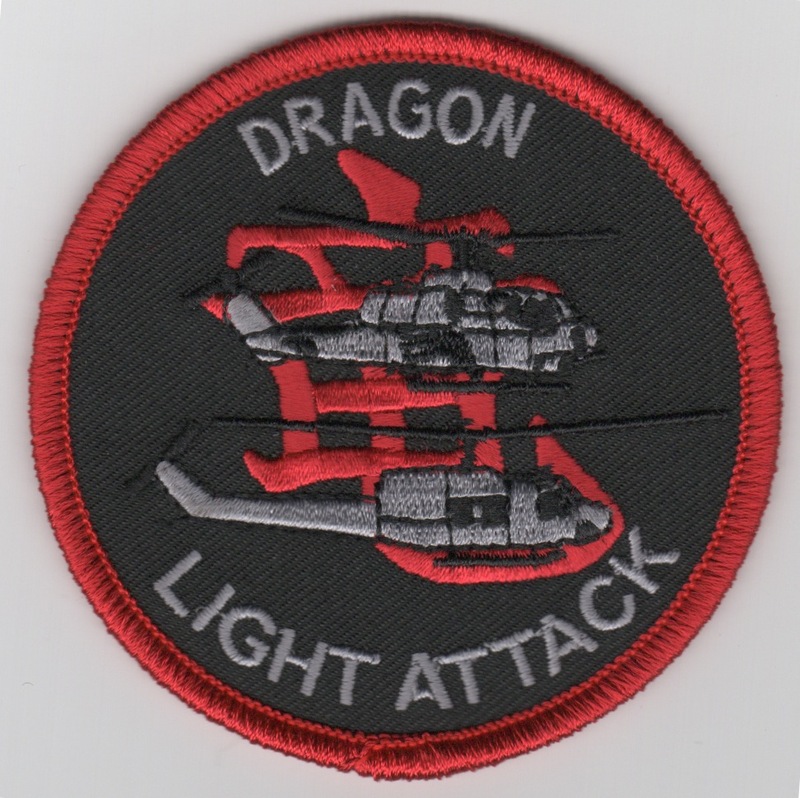 This is #5 of the 5 patch set created for the Dragons of VMM-265. VMM-265 is a United States Marine Corps transport squadron consisting of MV-22 Osprey tiltrotor aircraft. The squadron, known as the "Dragons", is based at Marine Corps Air Station Futenma, Okinawa, Japan and falls under the command of Marine Aircraft Group 36 (MAG-36) and the 1st Marine Aircraft Wing (1st MAW). Note the helicopters are pointed to the left....This patch does not have velcro already attached. 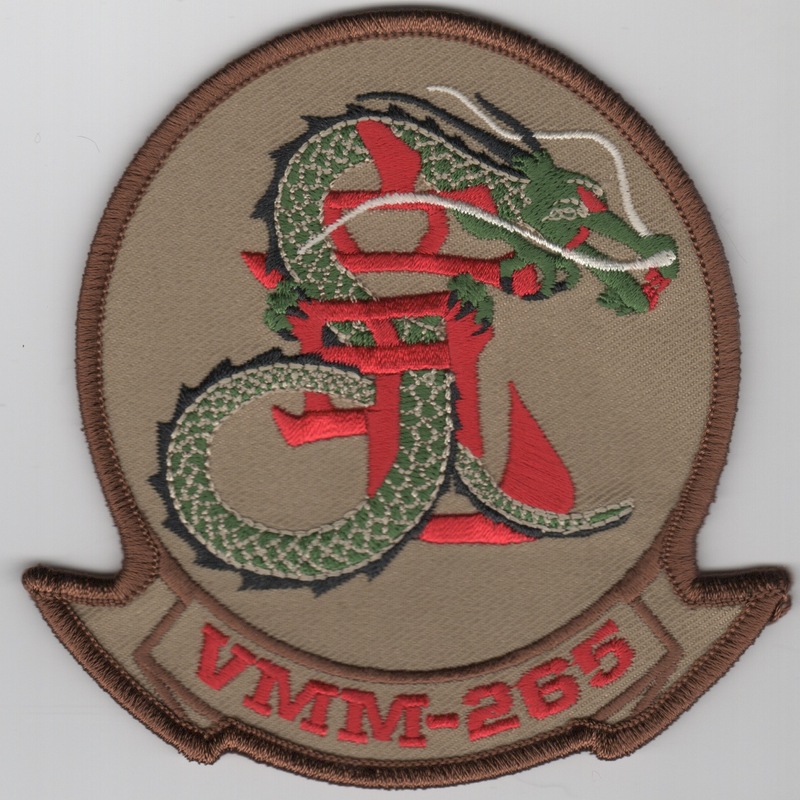 This is the set of 5 patches created for the Dragons of VMM-265. VMM-265 is a United States Marine Corps transport squadron consisting of MV-22 Osprey tiltrotor aircraft. The squadron, known as the "Dragons", is based at Marine Corps Air Station Futenma, Okinawa, Japan and falls under the command of Marine Aircraft Group 36 (MAG-36) and the 1st Marine Aircraft Wing (1st MAW). This patch does not have velcro already attached. Marine Medium Tiltrotor Squadron 265 (VMM-265) is a United States Marine Corps transport squadron consisting of MV-22 Osprey tiltrotor aircraft. 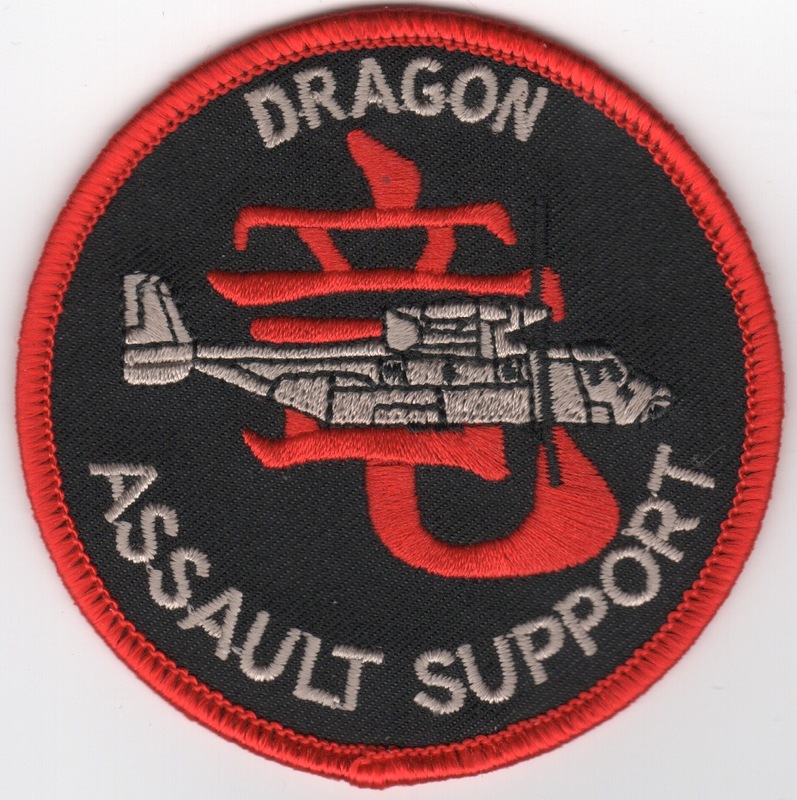 The squadron, known as the "Dragons", is based at Marine Corps Air Station Futenma, Okinawa, Japan and falls under the command of Marine Aircraft Group 36 (MAG-36) and the 1st Marine Aircraft Wing (1st MAW). Their mission is to Support the Marine Air-Ground Task Force (MAGTF) Commander by providing assault support transport of combat troops, supplies and equipment, day or night under all weather conditions during expeditionary, joint or combined operations. This is the detachment patch for the 31st MEU onboard the USS Bonhomme Richard and does not come with velcro attached. This patch does not have velcro already attached.